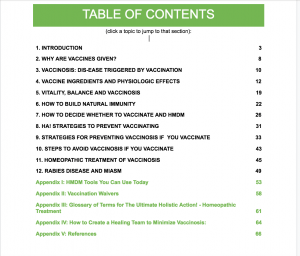 Vaccinosis ebook shop - Holistic Actions! Drs. 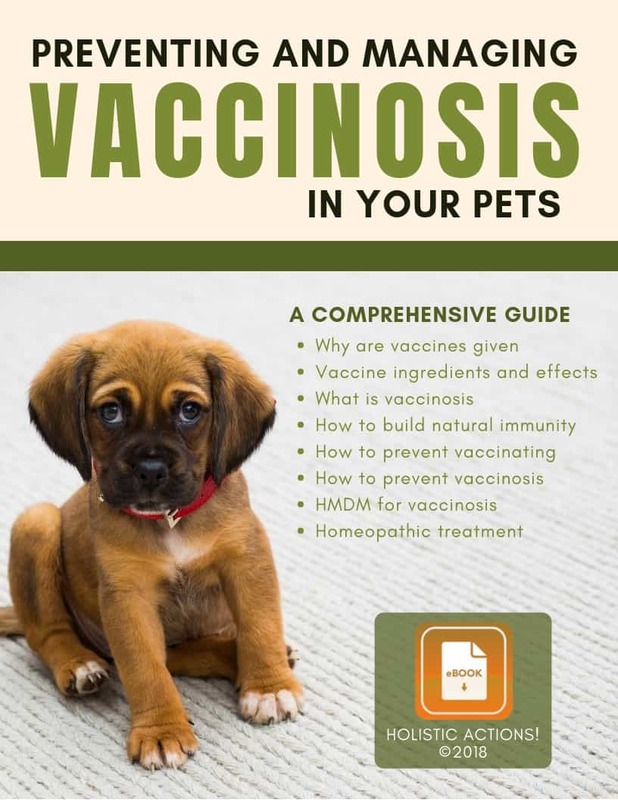 Jeff Feinman and Christina Chambreau combined their experience, research and passion for educating animal guardians and birthed this comprehensive guide to vaccinations. It was originally created for the Vaccinosis Webinar and is a comprehensive guide to everything vaccine related: from what are the vaccines, why they are (not) needed to preventing imbalance after administering vaccines. It’s 83 pages of research based analysis presented in a very reader friendly manner. It also provides generous amount of links for further research (see the table of contents below).